2017 is a year of important anniversaries for the European Union because we celebrate 60 years of the signing of the Rome Treaties and the 25th anniversary of the signing of the Maastricht Treaty. 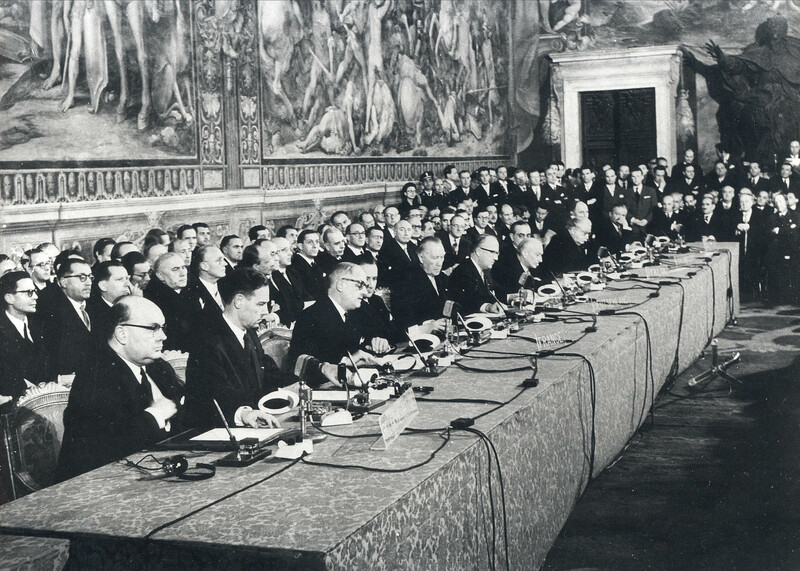 The first occurrence celebrates the birth of the European Economic Community with the formation of the common market and the harmonization of national economic laws that were the first significant step towards European integration. The second celebrates the most recent act of birth of the European Union, with the monetary union and the harmonization of the economic policies but also the introduction of European Union citizenship. And as always happens on the occasion of anniversaries, for the European Union in 2017 it is also time to take stock. An evaluation on the European Union’s state of health must surely start from the facts. A first fact is that the European project has proved to be the most successful experiment of peace and integration ever set up in the European continent. Although this is now taken for granted, so it’s not and we’re seeing. The other evident fact is the prolonged passage of the European Union through a period of turbulence, that results from internal and external reasons. The traditional lack of representativeness of the communitarian institutions seems even more unbearable today, because citizens see with their own eyes the ineffectiveness of EU policies where they are not entirely absent. The currency without a state has betrayed the ruling class’ promises at the time of the signing of the Maastricht Treaty. Without taking into account the economic indicators, the European Union appears poorer, less fair, more divided. The 2008 economic crisis has highlighted EU weaknesses and has widened the inequalities between the countries of Northern Europe and the Mediterranean countries. In addition, the crisis has cut in two halves our society. It has been deepening social inequalities while creating a youth unemployment rate as dense as to cause concerns that a generation of Europeans will be lost. These unresolved issues have heightened consensus for those eurosceptics parties that we are used to call populist and who, for various reasons and in various forms, can be considered nationalist. Indeed, measures proposed by the EU, too often, gave the impression of favoring the most solid countries and to rage toward those in difficulty by promoting the mutual hostility between the citizens of the Union. Brexit represents a watershed for the European Union because, for the first time, a member state decided to leave the European project. The possibility to retreat from the Union, although foreseen by the Treaty on European Union (art.50), seemed a not politically viable option, but today is real. Negotiations for Brexit will focus on divorce between London and Brussels, and on future relations between the two parties and outline a more (hard Brexit) or less (soft Brexit) net separation. But surely the outcome of the negotiations may mark the EU’s future because it can split the member countries. And on the horizon there are rounds of voting in the same way that they can decide the fate of this Union so oscillating between integration and disintegration. After the vote in the Netherlands, those in France and Germany appear to be more decisive than any European Council in Brussels because they are the mirror of a EU reduced to a mere sum of national policies. The European Commission is still too weak and overwhelmed by the intergovernmental method that seemed to be overcome and that, instead, is still in vogue. The repeatedly promoted federalist method (on immigrants, for instance) has been mortified by the compromise because it bothered recalcitrant member states that have seen discretionary application of the Stability and Growth Pact by the Commission. On the migration front the position of Eastern European countries always irritates the countries of the South (Italy and Greece) and on the economic front, the application of the Stability and Growth Pact is increasingly watered down, and the rules are increasingly disregarded. If it is true that for decades the European Union has been a safe place for Europeans it is also true that the world around turns up differently. And it is also true that the terrorist attacks have deeply shaken not only the member countries in which they occurred but the EU as a whole. Thus, internal and external threats that lie on an increasingly fine line, both pose the question of safety on the political agenda. To date, it seems that a truly unified approach to combating international crime networks is missing. Poor communication between national police forces especially when it comes to terrorism, both in the prevention of the attacks and in that of radicalization, as one of the main causes. The EU, however, must take into account a series of external security threats that rise due to increasingly unstable neighborhoods. Indeed, the European Union’s foreign policy is probably the unexcused absent in this era of uncertainty. The prevalence of particular interests in Libya has undermined the health of a country that overlooks the Mediterranean and is now in disarray. In Syria, the European Union is totally absent. Bilateral relations between States on both shores of the Mediterranean continue to be preferred to a holistic approach. The flow of migrants on both the Balkan and southern route has taken millions of people to Europe to an extent never experienced since the Second World War and now more than an emergency appears a structural factor. Its management, in addition, has given rise to a divisive debate within the EU on the issue of solidarity (towards refugees and among member countries) that seems to reward the supporters of the need to strengthen the external and internal borders and, therefore, the revision of Schengen, that seemed to be one of the most clear successes of integration. 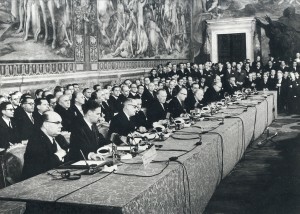 In this scenario, the Commission presented the White Paper on the Future of Europe which wants to be the contribution to the writing of a new chapter of the European project and which will be delivered to the Heads of State and Government in Rome on March 25, just during the celebration of the Rome Treaties. There is the hope that, as happened in the past, the EU can take bold steps forward after overcoming moments of crisis and false starts. The document effectively identifies the critical issues of the Union: the single market and trade, monetary union, Schengen and migration, foreign and security policy, the EU budget and, more generally, the ability to get results. At the same time, however, it does not contain proposals for ending the crisis. In contrast, it proposes five possible scenarios for the future of the EU that are not precise recipes but that will maybe open a debate. So, what are these possible paths for the European Union? The first is known as Carrying on, that is a slow but steady deepening of the integration in all areas. The Union at 27 would continue to invest in digital, energy and transport infrastructures, but also to address the climate challenges. In economic and monetary terms it would continue on the basis of the 2015 Five Presidents’ Report, while about security and defense it would multiply common efforts in terms of research, industry and joint procurement and control of external borders. The second scenario is the Nothing but the Single Market and the name, as for scenario 1, says it all. Basically, the single market would become the main raison d’être of the European Union. 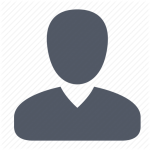 Several areas such as immigration and foreign policy would be re-nationalized and the Member States would return to sit in some international forum where today the EU sits as representative of all its members. The third scenario is the Those who want more do more, which prefigures a Union at different speeds, goes in one direction with a coalition of willings and leave the others in the middle of the scenario number 1. Those who would choose to go faster together would strengthen cooperation in defense policy, police forces, justice, taxation and social policies. Scenario 4 is the Doing less more efficiently, and envisages advanced integration in certain sectors (international trade, Euro stability, defense, asylum and border management), but less European intervention in areas such as state aid, social policies and labor. The rationale is that the Union renounces the “weak” authorities (based on the open method of coordination), which fails to enforce. The fifth scenario is Doing much more together. It is the classical idea of ​​European federalism, a Europe that speaks with one voice in international fora and a fully integrated Euro area, that is in few words the realization of the European ideal as pure and sincere. It is quite clear, then, that the last scenario is the most unrealistic. It requires strong political determination and a willingness to sacrifice sovereignty that no government seems to show, and then ends in a rhetorical exercise. The first scenario, by contrast, seems to be the picture of a Europe that does not work. Either scenario 2 and scenario 4 carry the risk of creating inequality hardly recoverable. Disparities that are also inherent to the scenario 3 which, however, appears to be the most politically viable. Some of the political groups in the European Parliament, such as the Socialists and Democrats, expressed their disagreement with the White Paper defining it as a clear political mistake because it seems short-sighted, as would simply provide a menu of solutions and does not indicate a clear political road. Yet, if on one hand the White Paper does not provide clear proposals to end the crisis, on the other it has the advantage of making clear to European leaders and citizens as some solutions are indeed inadequate. Despite the neutral tone in which it was written, the Commission’s document already puts a kind of veto to some solutions. Meanwhile Geert Wilders’s promise to bring a revolution to Europe fell flat as Dutch confirmed the centre-right party led by the Prime Minister Mark Rutte as the largest one within the Parliament. So, perhaps only after the elections in France and Germany we will have a better idea of ​​whether or not there is the necessary political strength to push the Union towards the future. Actually, that is a true symptom of the European Union stalemate. 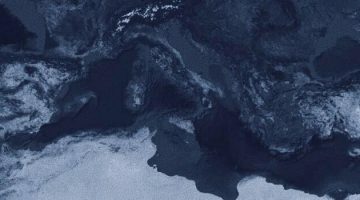 European Commission, White Paper on the Future of Europe, Reflections and Scenarios for the EU27 by 2025, COM(2017)2025 of 1 March 2017, https://ec.europa.eu/commission/sites/beta-political/files/white_paper_on_the_future_of_europe_en.pdf. Editor | Francesco graduated in International Relations at LUISS Guido Carli with a thesis focused on Baltic States and energy market. Then he took a Master in “Parliament and Public Policies” at LUISS Guido Carli. He has been collaborating with Termometro Politico as part of editorial team and he is now working for “Cassa Depositi e Prestiti” in Brussels.